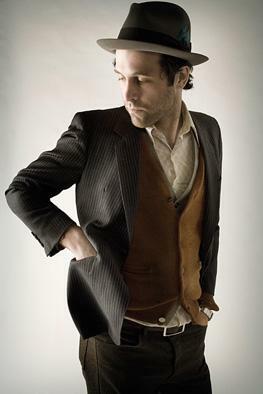 I was out at the movies recently and ending up hearing a great song, Blue Sky by Canadian Indie rocker Jason Collett. The video below is from a fan, not official video. I heard this song from a bit of a strange feature before the films started. It was insinuated to be a movie, like a trailer but not a trailer. The concept and cinematography was quite moving, so it was better than a commercial. The song suited the images well, at least for feel. I’m not going to sit and analyze the lyrics for suitability to a theme. However, at the end, it flashed some text about heart disease being the biggest killer in women today. That really just spoiled the whole thing for me because not only did it catch me by surprise, the rest of the content had no relevance to the message. I’m not going to analyze whether that meant it “worked” on me or not. I just thought it was poor “marketing” or “communications”. And to be honest, it flashed the song credits so fast I was intent to catch it the next time I heard it rather than pay attention to the heart disease message. A little research showed that heart disease message was about Facebook campaign called Love Your Heart. I see the “red dress” is the symbol of the campaign and I “get it” a bit about the red dress in that movie/commercial now. But it was just bad communications, in my opinion, if I had to go research it and didn’t care for whatever it had said on-screen after the thing was over. Anyhow, I just loved how the whole Blue Sky song felt. Nice and simple, with an ultra-feel good chorus that goes right with the beat and lilt of the song. That’s as far as I’m going to analyze it cause sometimes, it just to go with da flow, ya dig? Bring on, blue sky, bring on, blue sky! Maybe they should write a customized version with a chorus of wear a red dress instead of bring on blue sky. I must have a listen to more of Jason’s music!